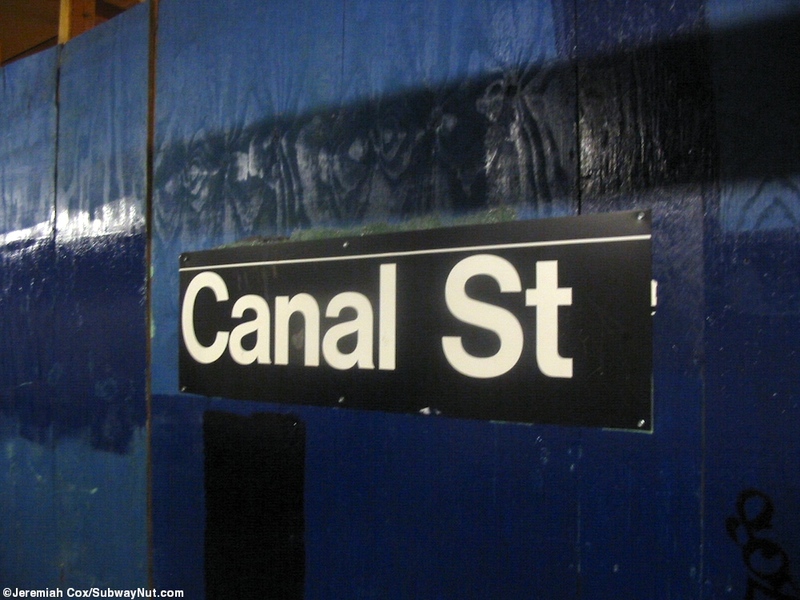 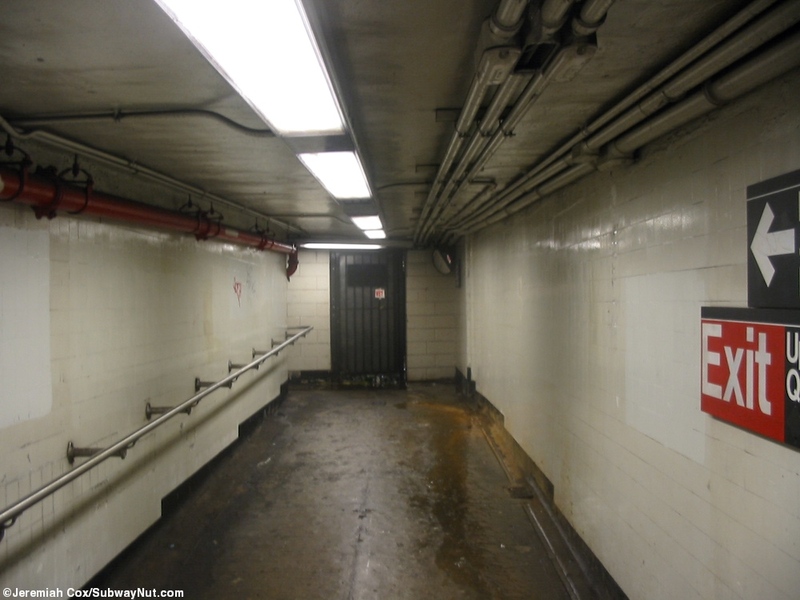 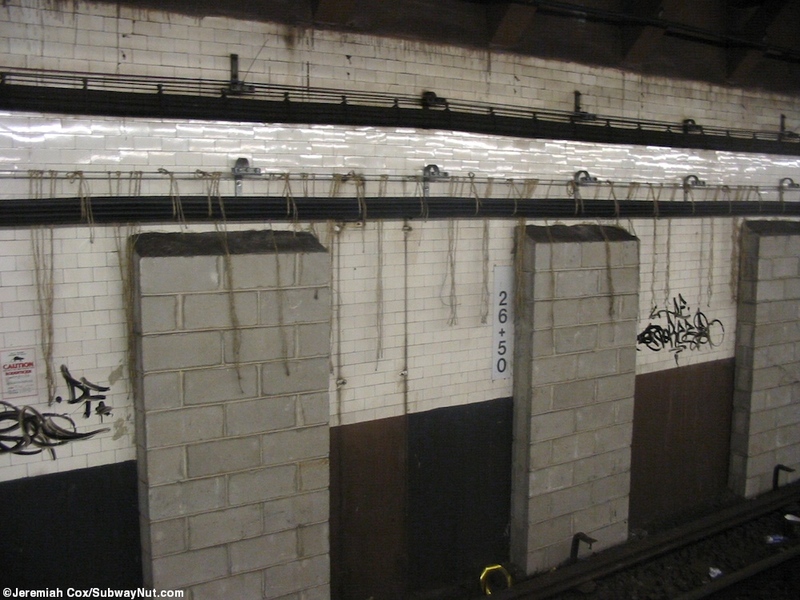 The Canal Street (Centre Street) Station of the Nassau Street line is half-abandoned, this is because of a reconfiguration of the Nassau Street line in 2004 that resulted in the closing of the former Jamaica-bound platform and rerouting those trains onto the inner track of the currently open Manhattan-bound platform. 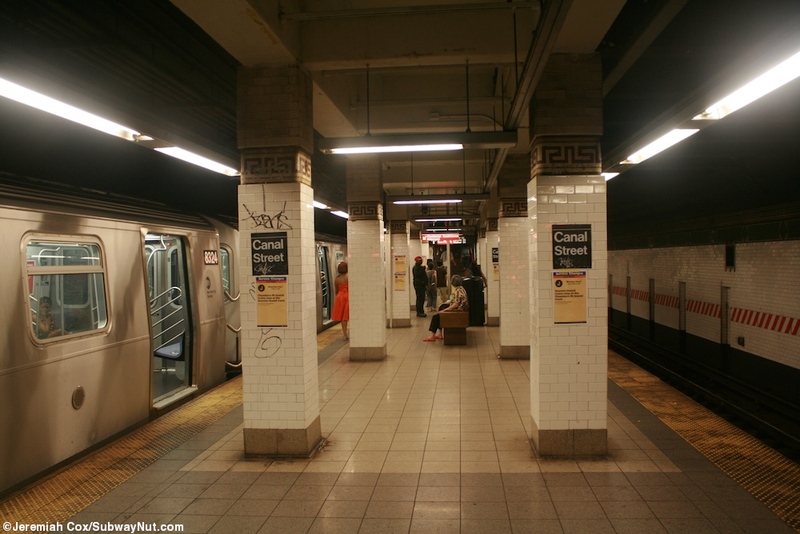 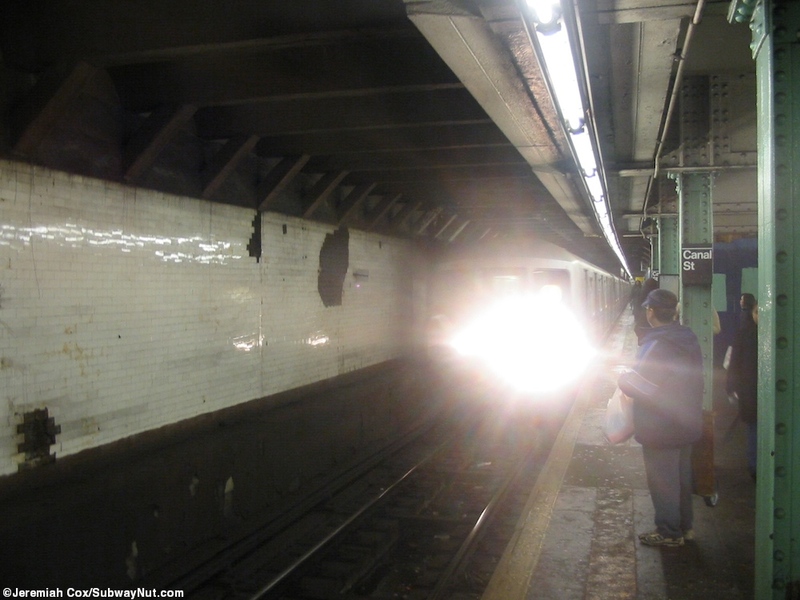 The only platform currently open that serves Nassau Street trains in both directions. 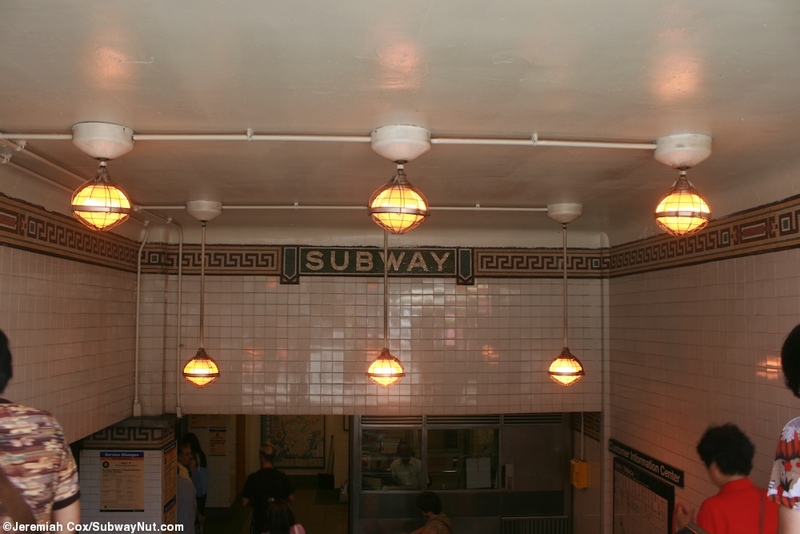 When the station opened in 1919 it was actually a terminal station, and had two island platforms to serve the four track line with the middle tracks terminating within the station, and the outer tracks continuing south to Chambers Street. 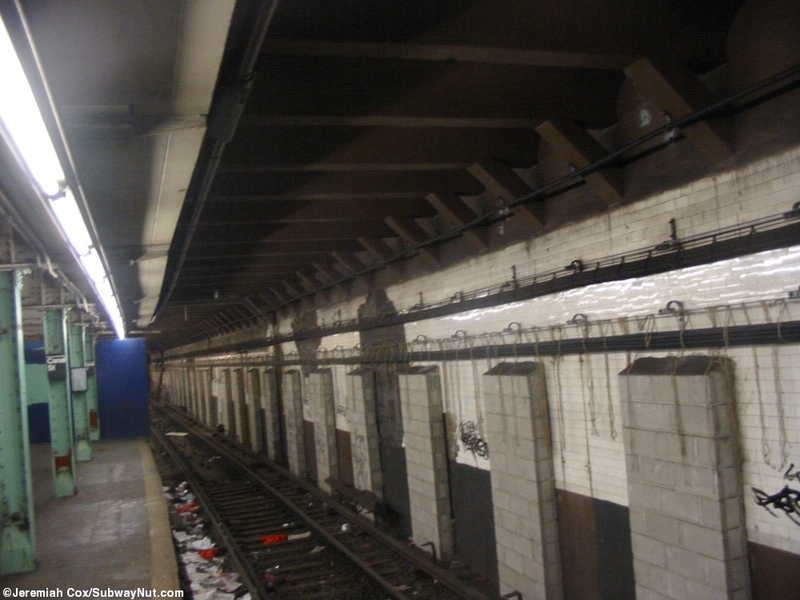 The inner terminal tracks were last use by Weekend J trains in 1990s before their weekend terminus was extended to Chambers Street. 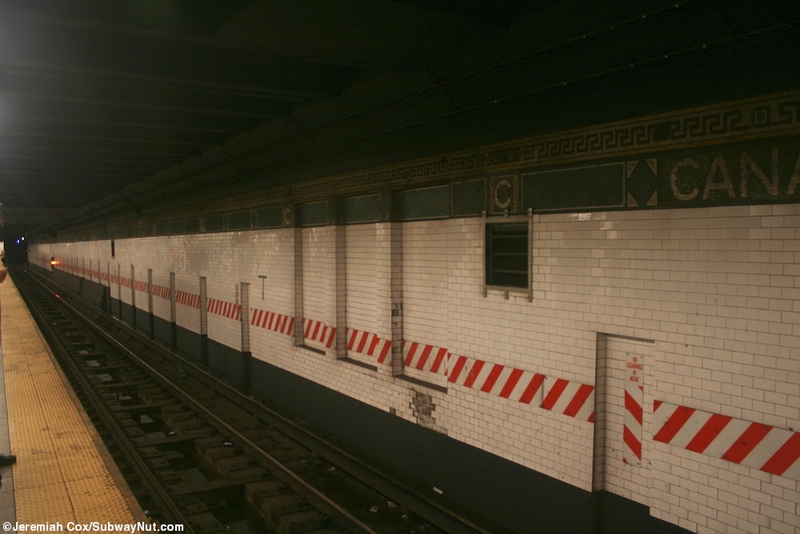 A currently tiled over portion whose outline is clearly visible (all former holes in the wall between the former middle tracks have been tiled over) of the always in existence wall between the inner tracks shows a now closed gap in the walls for train crews passing between the terminal tracks. 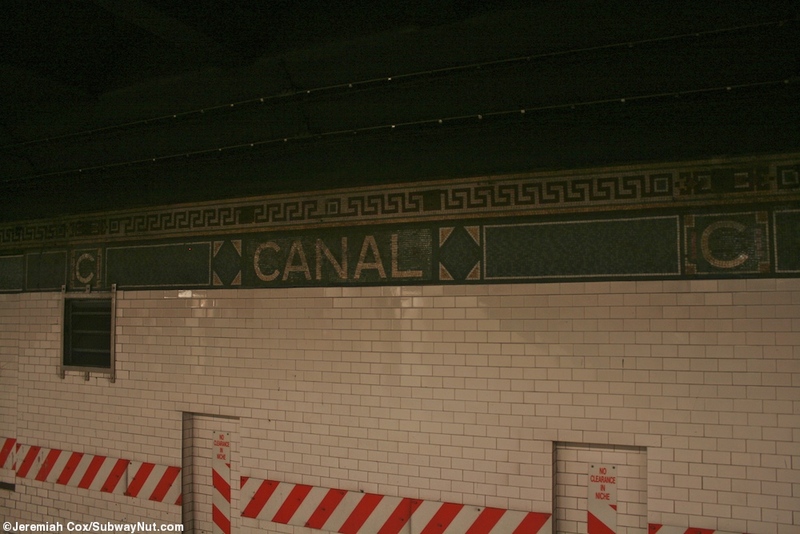 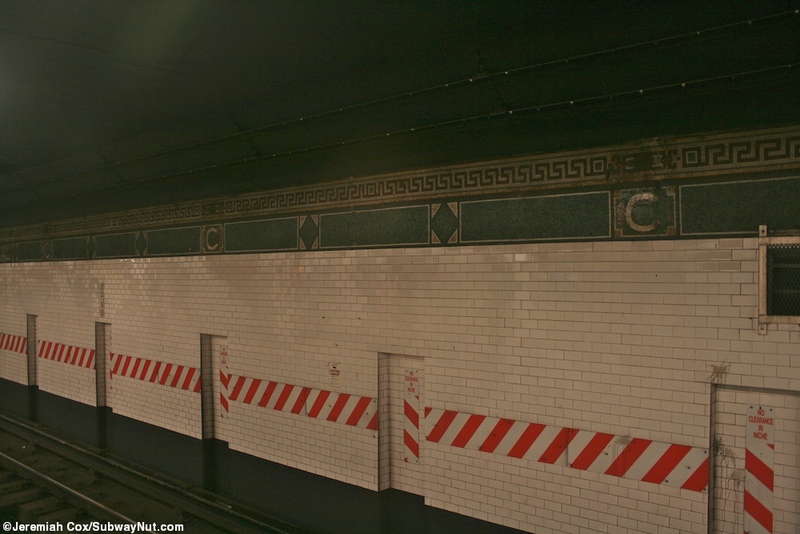 Presently the island platform has a very simple layout with a complex trimline mostly of green tiling with an upper shades of grey boarder forming an angular looping pattern with Canal Street written in it at various intervals along with Cs. 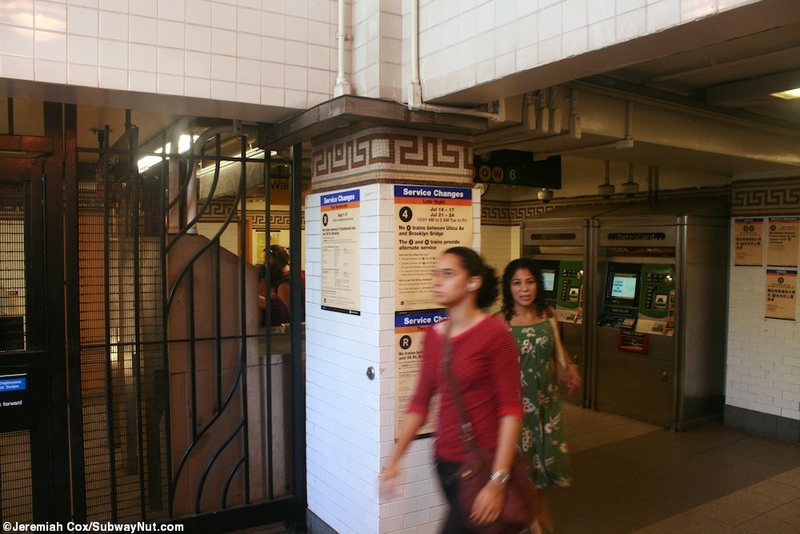 All the platform columns are also tiled white with just the upper grey with an angular looping pattern giving them a trimline. 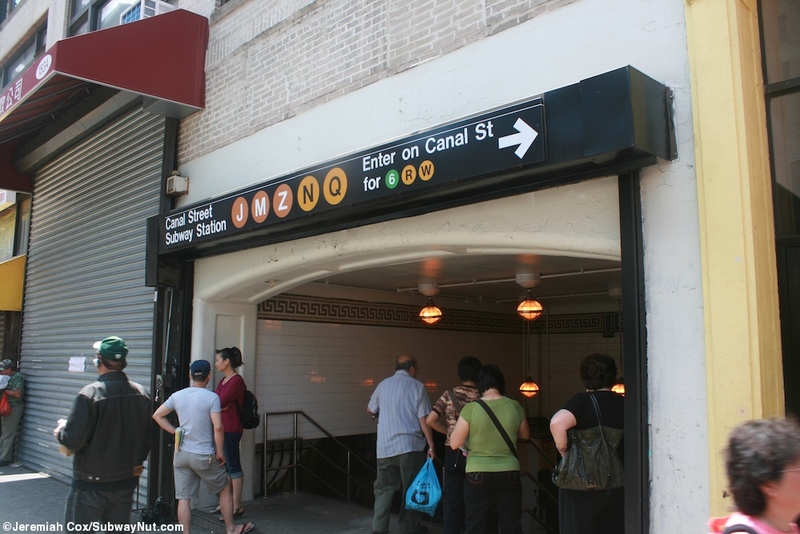 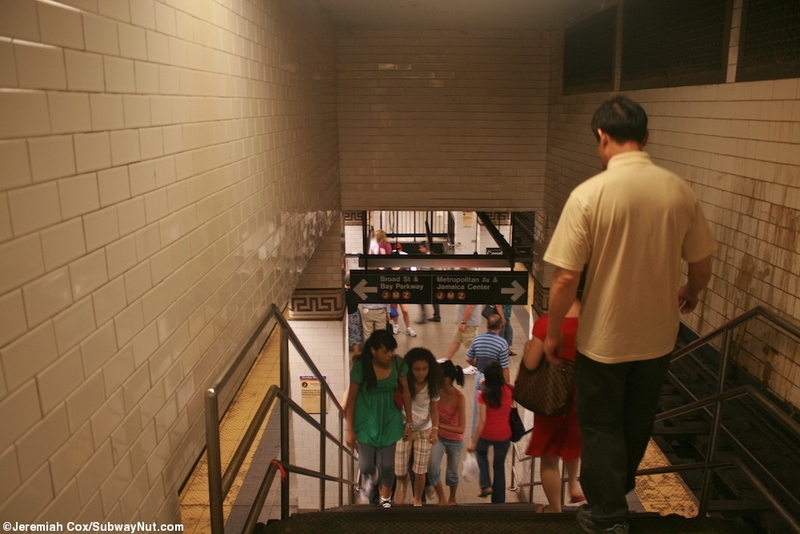 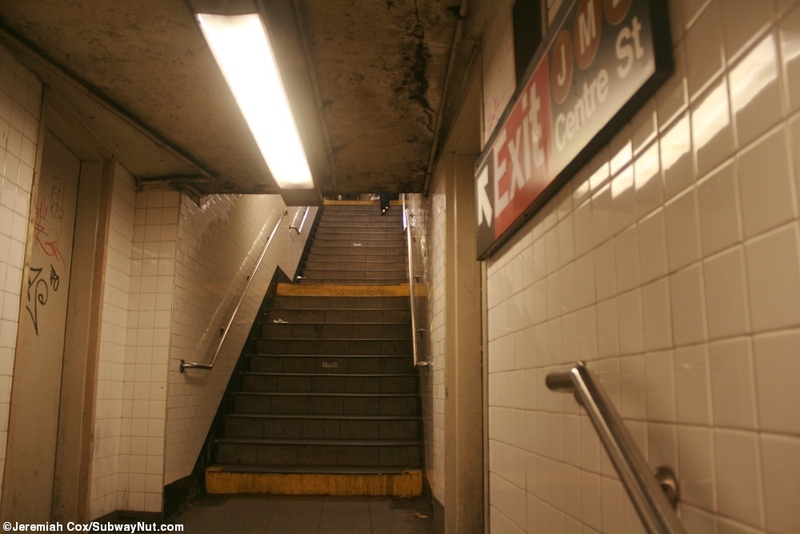 The stations only direct exit is towards its southern end: a single staircase leads up to an intermediate level where the now closed staircase to the former Jamaica-bound station is, and then a wider staircase leads up to another small intermediate level where turnstiles are and MVMs before doubling-back to an entrance set into the storefronts of the west side of Centre Street between Canal Street and Walker Street. 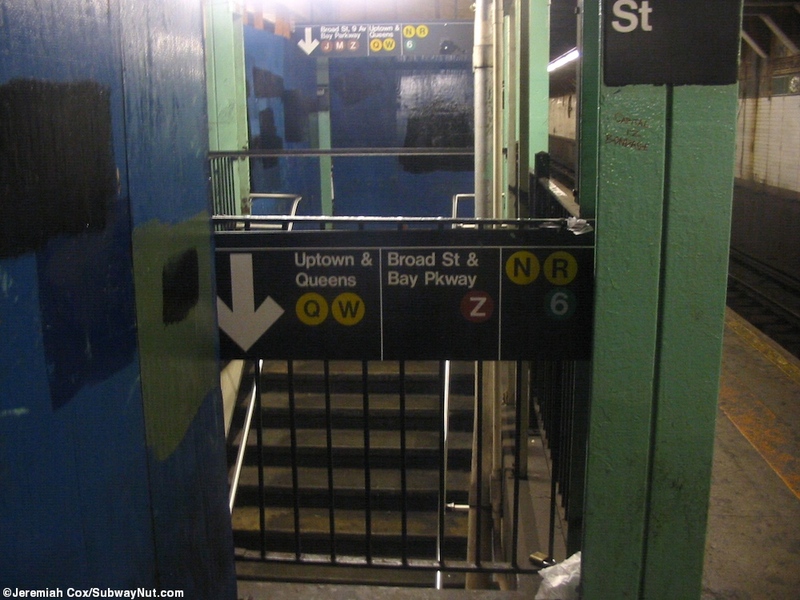 Farther up the platform (north) two separate single staircases each lead down to a small intermediate landings where the connections from the Jamaica-bound platform are now behind doors and then to each of the Manhattan Bridge Line side platforms. 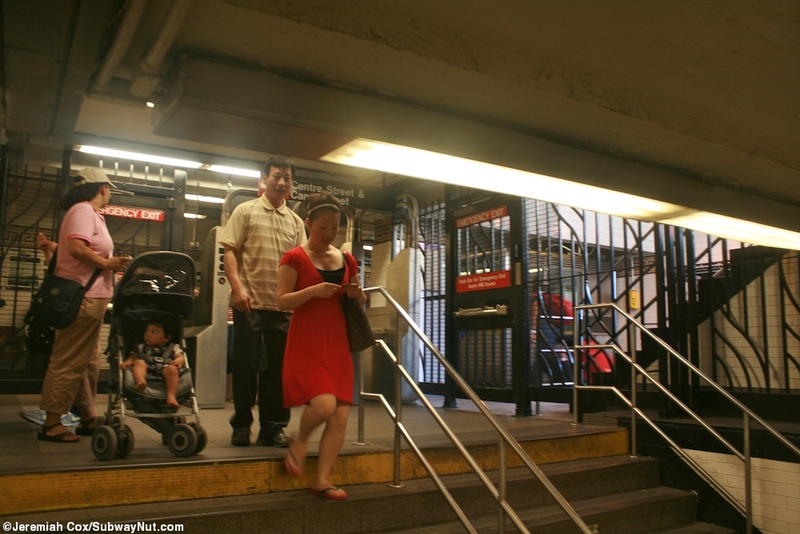 Using one of these side platforms is the only way to access the station's other connections.